The International AntiCounterfeiting Coalition (IACC) has claimed a victory in disrupting the sale of what it says are “dangerous counterfeits” on online trading site iOffer. Earlier this month, the IACC and payment industry partners including MasterCard were able to temporarily shut down San Francisco-based iOffer – which also operates sites overseas including in the UK – after taking steps to stop payment processing on the site. A quick glance at the very low ratings and reviews for iOffer on TrustPilot suggest anyone purchasing goods via the site should be mindful of the risks. Aside from reports of counterfeit or bootleg items, there are many reviews suggesting purchased items have not been received despite payment being taken. 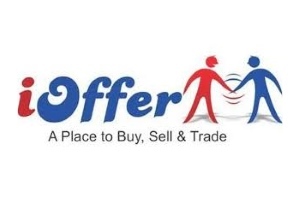 “iOffer advertises itself as an online marketplace where you can buy and sell ‘practically anything.’ Unfortunately, ‘anything’ includes inferior and harmful fakes such as electronics, batteries, sneakers, jewelry and handbags, to name a few,” said IACC President Bob Barchiesi.